It is very important when moving a tree from one place to another to be aware of the time of year. Trees can have a lot of their water evaporate through their leaves and foliage during a transplanting effort. Dormancy season for conifer and deciduous trees, (those that lose their leaves in the fall), is the best season to transplant a tree. Once deciduous trees are losing their leaves it is a good signal that dormancy has settled into the Northwest each fall. Once transplanted, the tree will have ideal temperatures and the enthusiastic growth push of the season to help them adjust to the new space. Aftercare is imperative. The tree will need consistent, daily drip irrigation to the root ball surface to help the tree survive and adjust. Typically 15 minutes of drip per day during the growing season (April-October) will suffice. Do not water your trees during the dormant season. 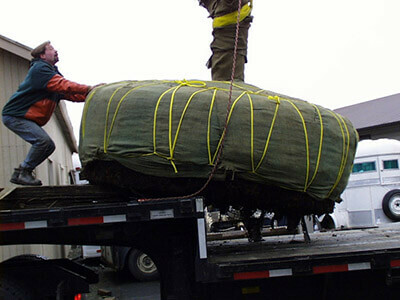 Late fall to early spring in the Northwest is the ideal time of year for transplanting a tree. They will handle being dug and moved much better at that time of year. The timing is best when the tree can be handled before its new foliage has broken its bud casings. Some trees will do fine if you transplant them in the early fall, especially evergreen trees. If you live in a colder area/higher altitude environment, and an evergreen tree is being transplanted there from a warmer/lower altitude climate, then it’s best to transplant the tree in early spring and let it have a half a year in its new location before winter starts. Transplanting a tree in late winter is a fine time too, especially as it rarely freezes hard enough in our Puget Sound climate to make planting difficult. If it is too cold to be digging, our trucks won’t be on the road anyway. The middle of summer is the least desirable time of year for transplanting trees in our Puget Sound region. Deciduous trees have all their new leaves, and conifer trees have their fresh evergreen foliage. All of these trees are pulling hard for water through their existing root systems to nurture their new growth so disrupting this can be detrimental if not done with proper precaution, methods and aftercare. Fortunately, Big Trees has garnered significant experience in moving trees during the summer because of construction schedule demands. There are many techniques and treatments we use and have developed over the decades to help summer transplants along, including digging larger size rootballs than normally required and application of products that help put the tree in temporary dormancy during the transplant process. Many construction companies are recognizing trees as priorities to their clients. In addition, there are many city development guidelines attempting to retain tree canopy in the face of our extreme pace of real estate development. Big Trees is the first in any consulting group to point out when a tree is not a good transplant candidate. Keeping our integrity and advisements as a trusted resource for builders and municipalities is a major priority in our assessment of transplanting opportunities. In our Puget Sound region, the importance of our urban and suburban trees and what they contribute to our environments is given significant consideration nowadays. Big Trees is very pleased to assist with the protection and retention of our region’s tree populations. If you have more questions about transplanting you can always call a big tree specialist at Big Trees Inc., 360-563-2700. Nancy Penrose is owner of Big Trees Inc. (https://www.bigtreesupply.com), (tree nursery Snohomish, WA), one of the largest Seattle tree nurseries, specializing in large trees for sale and transplant tree service. Learn more about tree preservation at https://bigtreesupply.com/tree-care-maintenance/ and for more tips on tree care or installation go to http://snohomishbigtrees.com/. See our video at https://www.youtube.com/watch?v=A6vVhNW1XJI and connect with us on Facebook at https://www.facebook.com/pages/Big-Trees-Inc/193731105108. 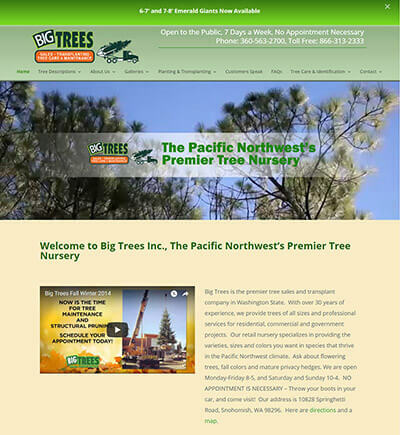 LOS ANGELES, CA: Real Web Marketing Inc. (http://www.realwebmarketing.net), a web design and website marketing company in Los Angeles, has completed designing a new web site for Big Trees, Inc. (https://bigtreesupply.com), a large tree nursery and tree transplanting company in the Seattle area. 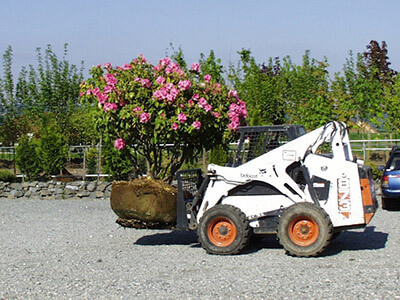 Big Trees Inc. is one of the largest tree nurseries in the greater Seattle area, located in Snohomish, WA. 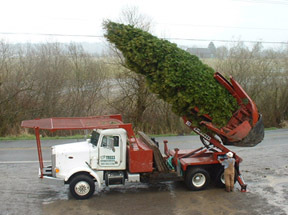 They specialize in selling and installing trees of all sizes, especially large, mature trees. 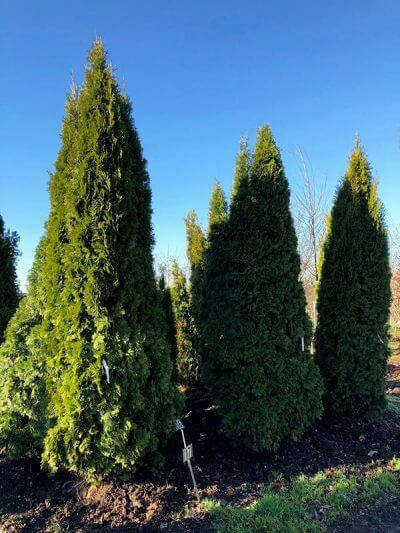 The company also transplants and moves trees, and has done work for the Seattle Seahawks, as well as for numerous cities, schools, colleges, universities, and thousands of home owners around the Seattle area. John Eberhard has been involved in marketing for 29 years, and has worked for a variety of companies as Marketing Director prior to starting Real Web Marketing Inc., including The Dohring Company, Executive Software (now Condusiv Software), Survival Strategies, Panda Software, and David Morse & Associates. Real Web Marketing Inc. was founded by John Eberhard in 1999 in the Los Angeles area and incorporated in 2011, and has clients all over the U.S. Their services offered include web design, shopping cart site design, mobile friendly web design, pay-per-click advertising campaign set up and management, search engine optimization (SEO), link building, social media marketing, copywriting, online PR, and video production. He can be reached at 661-441-2429. Their websites including http://realwebmarketing.net, http://realwebmarketingreleases.com, http://realwebclientnews.com, and http://myseojourney.net. 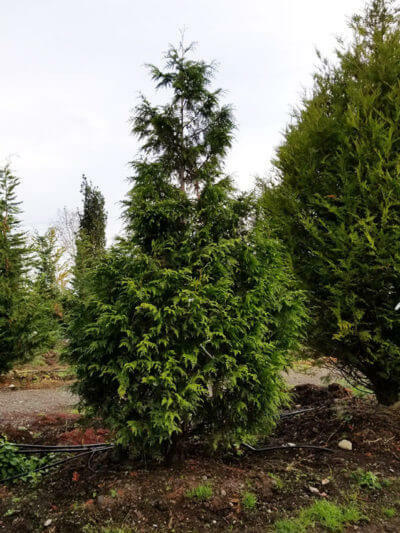 SNOHOMISH, WA: Big Trees Inc., (https://bigtreesupply.com/), a tree sales and transplant company, was contacted by a developer in Sequim, WA in regard to a project for transplanting a number of large evergreen trees. The developer first contacted Big Trees in the middle of winter with an idea of transplanting some existing trees that were on a property. The trees were in the correct size range for the Big John 90-inch tree spade, and access was good to transplant the trees into the planned space. The Big John tree spade got to work, and the crew spent two and a half days on the project moving over 20 trees into position along the property boundary. 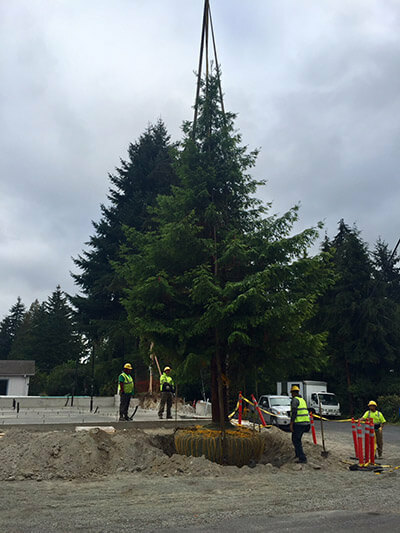 Each 20 to 25-foot evergreen tree was staked down with rebar posts and aircraft cable to stabilize these larger trees while they adjust to their new locations. Irrigation was added to the newly planted trees and set up on a timer to ensure the trees’ health throughout the spring and summer months, until they become established. Are Bumps on Trunks Bad for Trees? As you appreciate the fully grown leaves on your trees in the summer, you may notice bulges growing on tree trunks. What are those bumps and are they bad for your trees? Well, to answer the first question, those bulges are called burls and the cause of the burls on your specific tree isn’t easy to pinpoint without looking at it. However, they sometimes develop due to bacteria, fungi and insects, while other trees have a genetic predisposition to producing burls. Are burls bad for my trees? Normally they pose no threat to trees. Sometimes, although it is rare, a burl can interrupt the vascular system of the tree. We recommend finding the reason why the burls appeared to make sure there isn’t a health threat to the tree. Can I remove burls from my trees? Removing burls from trees poses a high risk for your tree. Not only would it leave a wound on your tree’s trunk, it could also lead to an infection. We recommend not removing burls to maintain the health of the tree. The best thing to do is to find why the burls appeared. Due to the fact that burls are a product of insect or fungi damage, it is important to make sure there aren’t any signs of an insect infection or something similar. If you see small holes in the trunk and branches, give us a call at (866) 313-2333 and we will help! SNOHOMISH, WA: Big Trees Inc., (https://bigtreesupply.com/), a tree sales and transplant company in the Seattle area, recently replaced a significant hedge between two properties that had been lost during an accident. Big Trees was approached by a customer who had a major accident occur with their neighbor, resulting in a lost hedge between the properties. The client’s neighbor had recently run a power cord along a row of tall Arborvitae trees to get some lighting into the daughter’s playhouse. Unfortunately, the Arborvitaes caught fire and the fire spread quickly throughout the entire 65-foot long hedge. The fire was exceptionally close to both residences, but fortunately, neither home caught on fire. The trees needed to be replaced as soon as possible and Big Trees had the inventory of trees and the crew capable of performing the work. It was decided that 31 of Big Trees’ 11’-12’ Emerald Green Arborvitaes would be the trees to work with. All of the debris from the fire was cleared, and the stumps and root material was removed from the relatively slender planting bed between the properties. The new trees were installed. 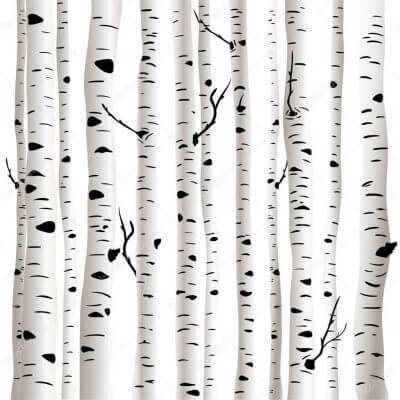 BigTreeSupply.com: Can Your Birch Trees Be Saved? If you haven’t heard, a beetle named the bronze birch borer has been becoming pretty troublesome in parts of western and eastern Washington. They can be found wherever birch is grown and mostly attacks the Jacquemontii Birch. Due to birch tree plantings increasing, the insect is quickly expanding. If you know your birch tree has been affected, you know you need to do something, but what exactly should you do? Can your birch tree be saved or is cutting it down the only answer? Let’s find out below. Can my birch tree be saved? The short answer is yes. In many cases, birch trees can be saved from the bronze birch borer. Treatment such as soil drenches, bark spray, and trunk injection are all ways you can save your birch trees from the tree disease if the treatment is applied correctly. Should I cut my birch tree down? We always recommend doing what you can to save a tree before you cut it down. If your birch tree has been affected, you’ll need to consider the tree’s health, what value it brings to your home, and the price of the treatment. If you find that your tree’s value is less than the cost of treatment, then cutting it down may be a good solution. Unsure of whether your tree has been affected or not? We can help! We offer tree inspections and spray treatments for birch trees if the tree is less than 30% gone. Just contact our tree specialist at (866) 313-2333 to get started. Nancy Penrose is owner of Big Trees Inc. (https://www.bigtreesupply.com), (tree nursery Snohomish, WA), one of the largest Seattle tree nurseries, specializing in large trees for sale and transplant tree service. Learn more about tree preservation at https://bigtreesupply.com/tree-care-maintenance/ and for more tips on tree care or installation go to http://arboristblog.com. See our video at https://www.youtube.com/watch?v=A6vVhNW1XJI and connect with us on Facebook at https://www.facebook.com/pages/Big-Trees-Inc/193731105108. SNOHOMISH, WA: Big Trees Inc., (http://bigtreesupply.com/), a tree sales and transplant company in the Seattle area, recently helped a client with a large scale screening situation that needed to be resolved before the client could sell their home. Last month, a couple came to the Big Trees nursery with a difficult situation. A five-story tall apartment building had been built up in their backyard view, and even though it is across the street from their backyard fence, it took away from the privacy of their home. The couple was attempting to sell their home at the time and knew they had to bring privacy back to their home before they could easily sell it. Big Trees decided to plant large 20-foot Excelsa Cedars and large flowering Cherry trees along the back border of the property to help with the clients’ situation. The problem with installing these trees into this property was that there was no access for tractors to bring these 3,000-pound trees into the backyard. Big Trees called in their associates in the crane industry, and used a 140-ton class crane to safely place the trees into the backyard. You may be ready to sell your house now, or you’re planning on staying in your home for several years. Either way, you’ll want to add as much value to your house as possible, and the outside is just as important as the inside. The best way to add value to the outside of your property is to add healthy trees or cut down diseased, dangerous trees. Did you know, according to PNW Research Station, a tree in front of a house can increase the home’s sale price by an average of $7,130? That’s huge! So, which trees should you add to your home? There isn’t really any specific tree that adds more value over another type of tree. The most important thing is to plant healthy, disease-resistant trees. If you’re in an area where a specific tree is popular, such as palm trees in Florida or California, then adding those trees can help as well. Which trees should you cut down? Trees should always be healthy, well maintained and planted in the correct location. Cutting down a tree that looks infected, is covering up too much of the front of your home, is closer than 15-feet from your home, or is completely dead can help increase the value of your home. We offer tree inspections and have a nursery of over 120,000 trees for you to choose from. Just contact us at (866) 313-2333 to get started. Snohomish, WA), one of the largest Seattle tree nurseries, specializing in large trees for sale and transplant tree service. Learn more about tree preservation at http://bigtreesupply.com/tree-care-maintenance/ and for more tips on tree care or installation go to privacytree.net. See our video at https://www.youtube.com/watch?v=A6vVhNW1XJI and connect with us on Facebook at https://www.facebook.com/pages/Big-Trees-Inc/193731105108.